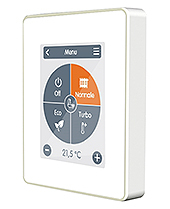 Stylish TFT capacitive touch panel for easy remote control of the heating system. 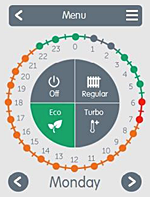 Normal, Turbo, Eco and Off operation modes with specific temperature setpoint. Holiday program. 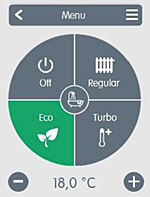 Up to 8 adjustable daily heating time slot. CAN Bus connection for the system Connect. 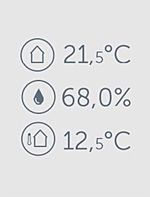 Data logging on MicroSD Card via data logger Connnect. TFT Color display 2.8” with Glass front and Capacitive touch panel.